Season after season, we work with leading motocross teams to bring you apparel that reflects the best in motocross culture. 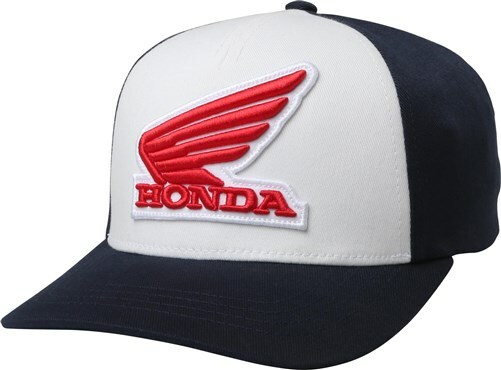 By collaborating with Honda, two legends combined to bring you gear that hits all your style requirements. If you're tuned in on Saturdays to watch the gate drop, the Fox Honda Snapback hat is a must. The stretch to fit design ensures all-day comfort. And the Fox x Honda graphics give you some bold style to match the riders on the track.